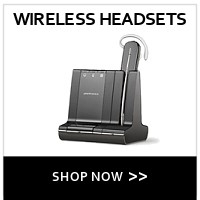 Plantronics, Chameleon, Jabra & Sennheiser Headsets. 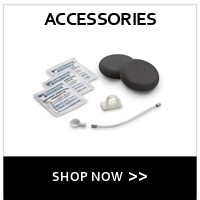 Smith Corona Compatible Headsets. 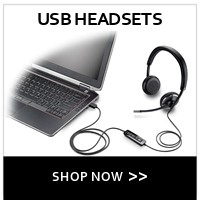 Since 1998 Headsets123 has been supplying Call Center Grade corded phone headsets, wireless headsets, headset telephones and a wide range of headset accessories to accommodate Medical, Insurance, Financial offices and large Call Centers environments offering you value, comfort, flexibility and increased productivity in your day to day business. Our offices are located just outside of Seattle, WA. 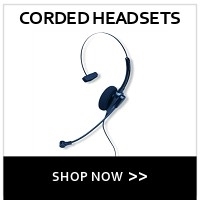 We hope you enjoy our wide range of headsets and accessories. We value your opinion. If you have any suggestions on products or site improvements, we'd love to hear from you. Just drop us an e-mail sometime. Chameleon 2003B ECO Noise Canceling Headset Yes! This item is in stock. Chameleon 2002 PRO Noise Canceling Headset w/DA207 Telephone Yes! This item is in stock.